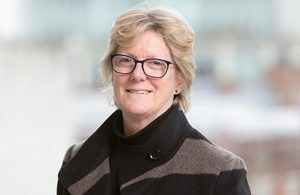 The Government has confirmed that Professor Dame Sally Davies is to stand done as the Chief Medical Officer. Davies has held the role for nine years and will now become the Master of Trinity College at Cambridge University. “Sally Davies has been a dedicated public servant and a driving force for improving the health of the nation. She has led the fight against antibiotic resistance and public health risks, and has pioneered world-leading action across a whole range of areas. She’s been not just England’s CMO but led thinking around the world. Sally has been an inspiration to us all and I’m sure has a huge amount still to contribute in the future”. A replacement will be announced later in the year following a recruitment process for the role. The Government has confirmed that Dame Frances Cairncross is to lead a review on press sustainability and investigating the media market. It comes against the backdrop of UK newspaper circulation falling in half since 2001 and the closure of over 200 local newspapers since 2005. “Although the internet has been an immense force for good, it has torn apart the established order and raised real questions about the sustainability and profitability of traditional journalism. Dame Frances Cairncross will bring her experience in journalism and academia to tackle these issues with a view to examine the press and protect the future of high quality journalism”. “Having spent much of my working life as a journalist, and seen how the digital revolution has changed both the fortunes of newspapers and the opportunities for distributing news, I am excited to be undertaking this review. This is both a challenging and an exciting time for the press, both locally and nationally, and I hope the review will clarify both ways to ensure the future of high quality journalism and the options for public policy”. Matt Hancock, the Minister of State for Digital, has said that the Government is looking to strengthen the rights of the individual with a new Data Protection Bill. The bill will aim to make it easier for individuals to request data about them be deleted, for parents and guardians to have more control over data relating to their children and for explicit consent to be needed before processing sensitive personal data. “Our measures are designed to support businesses in their use of data, and give consumers the confidence that their data is protected and those who misuse it will be held to account. The new Data Protection Bill will give us one of the most robust, yet dynamic, set of data laws in the world. The Bill will give people more control over their data, require more consent for its use, and prepare Britain for Brexit. We have some of the best data science in the world and this new law will help it to thrive”. 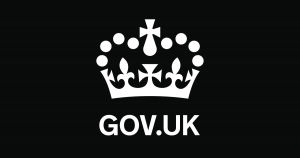 “We are pleased the government recognises the importance of data protection, its central role in increasing trust and confidence in the digital economy and the benefits the enhanced protections will bring to the public”. Lord Waldegrave, a former Conservative MP who served as a Minister for both Margaret Thatcher and John Major, has criticised a Government plan to ask job applicants if parents paid for their education. “Fundamentally, I think it quite wrong to punish children for decisions taken by their parents, and to run the risk of choosing crucial public service jobs not on the basis of merit but of social engineering. The ablest candidates come from all possible backgrounds”. “I have told the chief whip in the Lords that I do not see how I could continue to accept the whip if I believed that the government was actively seeking to damage the charitable school of which I am a trustee, and the many other schools like it which are meeting the justifiable demands of the Charity Commission to help the wider community”. “Good employers must of course get behind what Mr Hancock calls ‘polish’. But I do not think we should have turned down Churchill in 1940 because the postcode would have revealed that he was born in Blenheim Palace, nor because he went to a great public school. He and Ernie Bevin won us the war, and both were the best men for the job”. “We are tackling the last workplace taboo. We British don’t always like to discuss things like our parents’ background, particularly at work. But you can’t manage what you can’t measure”. “The proposals we have outlined to measure social background are part of a broad consultation and no legislation is being put forward”.